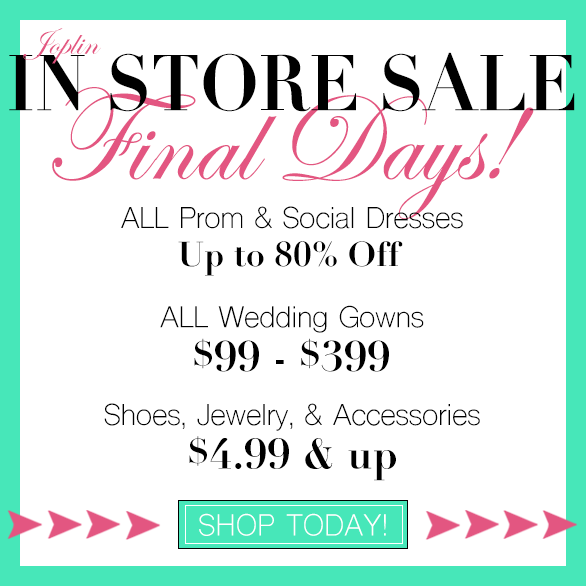 TJ Formal Dress Blog: Sale - Final Days - Up to 80% off! Sale - Final Days - Up to 80% off! Hurry in for some amazing deals during the final days of our in store sale! Prom & Social dresses up to 80% off - Wedding dresses $99-$399! Shoes starting at $4.99 - Jewelry starting at $6.99!